Can you imagine how expensive it is to do this? Have you ever helped someone move and you wished a few of the helpers would go home? Or at least get out of the way? People Profits see this constantly - an organization working hard at recruiting alot of employees. When what they really needed to do was plan more and better. 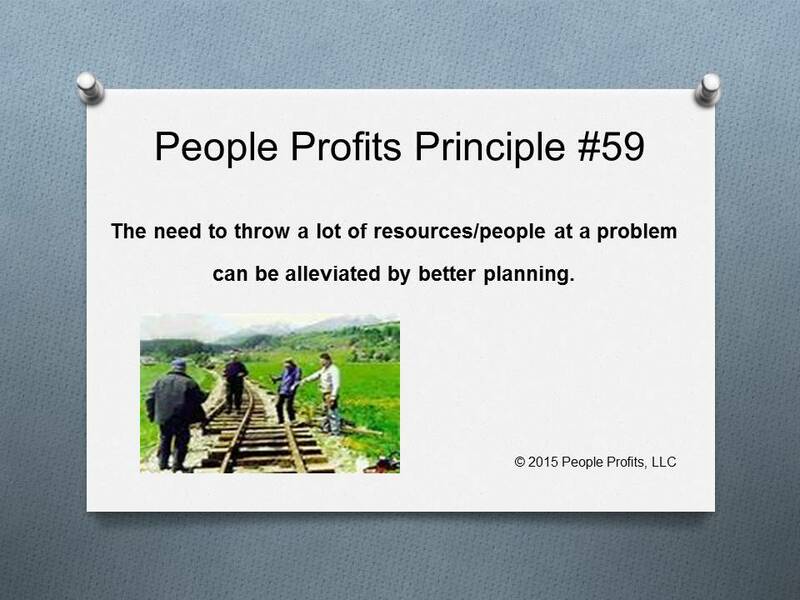 It is not just workforce planning - it is project planning and management. The project would happen quicker and better if you had a few people, who knew what they were doing, and fewer of the people who were not being effective.